In 1671, Captain Henry Morgan set his sights on Panama City, the richest city in the western hemisphere. Amidst his raid and ultimate capture of Fort San Lorenzo, Morgan lost five ships, including his famed flagship The Satisfaction. What will forever stand as a historic battle in Panamanian history now serves as inspiration for the Captain Morgan Rum Co.’s newest offering – the limited edition Captain Morgan 1671 Commemorative Blend Spiced Rum. The Captain Morgan 1671 is instilled with a unique blend of spices that provide a luxurious, full-bodied flavor. The distinct spices create a taste of chocolate and dark fruits with hints of vanilla. Finished in Spanish Oak, the commemorative blend contains palatable elements derived from the type of barrels that were believed to have been on board The Satisfaction. Available only for a limited time, Captain Morgan 1671 Spiced Rum not only celebrates the brand’s legacy, but also provides adult consumers with a rare opportunity to enjoy a bold take on the Captain Morgan Rum Co. original blend. The recipient of a gold medal at the 2014 San Francisco World Spirits Competition, Captain Morgan 1671 is packaged in a unique jug designed in a nod to the 17th century. At 70 proof (35% ABV), Captain Morgan 1671 is available now for a suggested retail price of $19.99 (750 mL bottle). The limited time offering is best enjoyed on the rocks or mixed with cola for a new take on the Captain Morgan brand’s signature drink. This commemorative rum is very smooth. Whether you enjoy it on its own with some ice or in a cocktail you will love the taste. It is perfect for the summer. It is not heavy and there are endless options to mix the Captain Morgan 1671 rum with. If you are using it for a classic rum and coke or a Captain’s Colada you can’t go wrong. This past weekend I was enjoying the rum with each BBQ I would be at, but I made sure I enjoyed it responsibly. 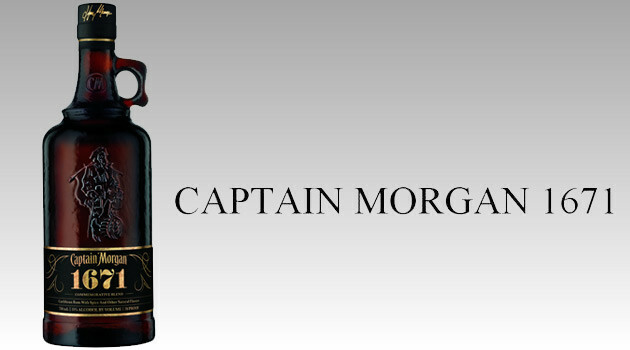 If you are a fan of Captain Morgan you will be very satisfied with the Captain Morgan 1671 commemorative blend. Like I said earlier though it will be available for only a limited time so don’t let the Captain’s ship pass you by! Print article This entry was posted by Art Eddy III on May 27, 2014 at 10:03 am, and is filed under Lifestyle. Follow any responses to this post through RSS 2.0. Both comments and pings are currently closed.